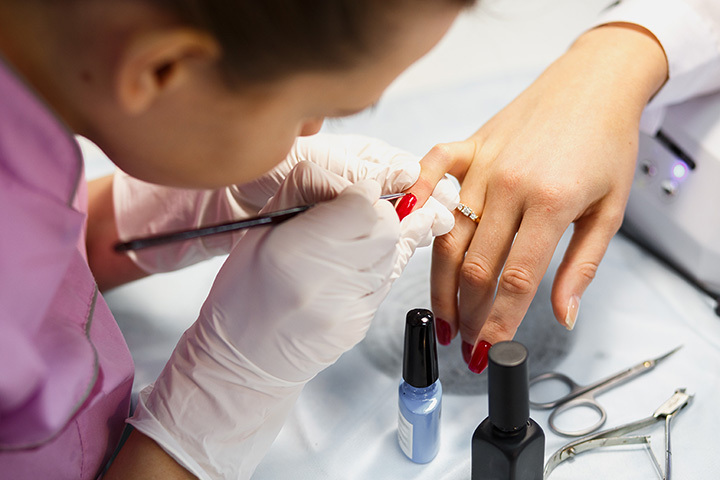 Whether you want a manicure or pedicure, there’s no doubt that visiting a nail salon is a relaxing experience. To treat yourself right in the state of Iowa, you don’t have to drive very far to find a professional and friendly nail spa environment. From the Elite Nails found in Iowa City to the 4 Seasons over in Windsor Heights, fantastic nail care and color is easy to find in Iowa. To locate the right nail salon for you, a great place to start looking are these 10 best nail salons in Iowa. For elite satisfaction with your nails, it’s worth checking out Elite Nails in Iowa City. Featuring numerous community awards, Elite Nails delivers when it comes to acrylic nail coverings, and can give you that professional look you’re looking for. Located on Burlington Street, visitors to Elite Nails can get a complete set done for $25, which is quite the steal for the long-lasting color you’ll give to your nails. Serving as one of the state’s few specialty foot spa and nails salons, Pro Nails of Ames offers manicures, pedicures and specialty Solar Nail services. Solar Nails deliver a color that will last, and is considered to be a less-toxic alternative to traditional acrylic services. Whether you are looking for a pedicure, manicure or some color, if you are anywhere near Ames, Pro Nails is the choice for you. Besides the many nail services offered by the Nail Spa in Council Bluffs, it’s the comfortable atmosphere of this neighborhood nail salon that makes it so popular. The professional technicians help too, who alongside serving up quality, they also care about each customer that walks through the door. For any and all specialty nail services, the Nail Spa in Council Bluffs applies all the right techniques. Every customer who walks in the door of Happy Nails Altoona is first greeted, and then walked through a consultation process to understand exactly what is needed during their visit. Whether it’s natural nail care, nail enhancements or a mani & pedi, Happy Nails is happy to provide anything that will make your day better. Also featuring waxing services, you can take advantage of many relaxing techniques with each visit to Happy Nails Altoona. Featuring manicures and acrylic services, as well as facial and waxing services, you can get the full revitalizing feeling with just one visit to Diva Nails & Spa Salon in Waterloo. Not only is the number of services offered by Diva Nails lengthy, but the technicians that deliver the final product are all of the highest professional standard. Combine it all with the comfortable, clean environment of Diva Nails, and each visit can be a special experience. Serving as one of the largest nail salons in the country, the Rio Nail Bar in Ankeny sets a high-bar when it comes to nail services. Not only are the comfortable surroundings the perfect way to accentuate a professional nail service, but the wide variety of nail care services and spa offerings leaves with plenty to choose from. Also featuring a full wine bar, the Rio Nail Bar is full of fun times to be had. Dedicated towards that time you dedicate towards yourself, Q Nails and Spa of Cedar Falls is a clean, comfortable and professional nail salon that will treat your hands and feet like they are their own. Featuring an odor-free environment, the technicians at Q Nails take special pride in the way their customers look and feel once they leave their salon. Featuring not just hands, feet and nail treatments, but entire spa and salon services including hair care, makeup application and body massage, Elevate Salon and Spa of Cedar Rapids is a full-body station that can treat you right. Whatever service you go for at Elevate, the nail enhancements can add a spark of color and excitement to any visit. However you choose to express yourself at Expressions by Design in Pella, you’ll be sure to have a comfortable and relaxing time while doing it. Featuring the whole list of nail care services, whether you are looking to get a manicure, pedicure or a new color, Expressions by Design can deliver in a professional way. Also offering a sweeter alternative to traditional waxing, Expressions features sugaring, which uses honey instead of wax to rip out hair in a less painful way. No matter the time of year or weather outside, 4 Seasons Nail and Spa in Windsor Heights delivers on the nail services you are looking for. Featuring a comfortable and relaxing atmosphere, and services delivered by professional and friendly technicians, if you want a job well-done right in front of you, look no further than the 4 Seasons Nail and Spa.